Marietta - healed from cancer and replaced with a strong devotion to the Lord in prayer and sacrifice and sharing the Gospel truths with everyone. Anna G - cure from cancer so she can testify that God has healed her and increase her prayer life and devotions. Fr.Mark - for strength and safety in these troubling times and good health. Paola, Primo, John, Tina, John, Silvana, Michael, Paul, Anthony, Thomas, Samantha, Ina, Marisa, all my relatives and friends all over the world - for God's blessings and protection and safety and may God bring them all into His new Paradise on earth. For all those who are sick and in need of healing physically, emotionally, spiritually, May our Lord place His Healing Hand on them and bring them through this trial triumphantly. Please pray for my Crusade Prayer Group that we expand and find larger facilities to meet and pray. 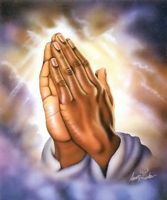 Pray that my faith in God and His Truth, increase with every beat of my heart and every breath I take , thanks be to God. Please pray for me too so that i will be totally healed and work for the greater glory of the Lord and Mother Mary.